Woven Stone designs, manufactures and installs creative concrete worktops, splashbacks, reception desks, sinks, tables, benches, firepits, hearths & wall panels etc. including one off pieces. Our high performance glass fibre reinforced concrete (GFRC) allows us to create unique objects with very few design limitations. GFRC is much lighter than precast and is very durable and long lasting, create a legacy to your imagination! All our hand crafted pieces are a million miles away from a concrete pavement. Welcome to Discount Tiles. We are the North-East’s number one independent tile superstore, with plenty of happy customers across Stockton, Middlesbrough and the surrounding areas. 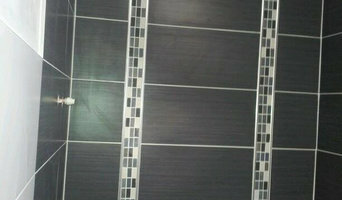 Paul Moore Tiling specialise in residential tiling. We are flexible enough to deliver small, medium, and large contracts on time and to a quality standard. Paul Moore Tiling offers services across the North East including, Middlesbrough, Stockton on Tees, North Yorkshire, and County Durham. Paul Moore Tiling provide 100% customer satisfaction on all works regardless of size and value, and we value every residential customer. 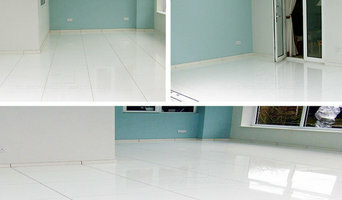 For more information please enter our residential gallery above or contact us to arrange a free quotation. Remove Gas safe logo, and remove anthony's name and contact details. 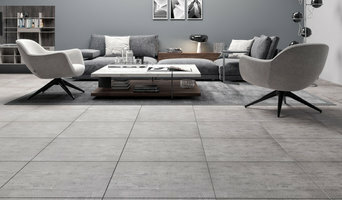 UK designers and makers of timeless, unique, luxury handmade stoneware tiles of superior quality. We specialise in Providing exceptional quality and offering unique and desirable products that go the extra mile: All of our products are completely handmade. The clay is rolled out by hand, sometimes requiring subtle textures to be impressed into it, before being allowed to dry a little. The tiles are then hand-cut, whereas many other handmade tile makers use moulds. We find that hand-cutting keeps to the truest sense of the term “handmade”, adding to the unique nature of the product. After a first firing, colours and glazes are applied either by brushing or dipping. The underglaze colours and the glazes are all carefully hand-mixed from raw materials and oxides, resulting in the most beautiful, vibrant colours that are impossible to replicate in a factory produced tile. Some of our work is also sawdust-fired outside, using locally sourced seaweed and driftwood to interesting effect. Each tile is a unique, hand-produced work of art in itself, as well as having practical uses. Our tiles are made from hard-wearing stoneware clay, which is less porous and more durable than terracotta clay. The creative designs exude quality and opulence, adding value, intrigue and a topic of conversation to every wall that they adorn. We make sure that you will never have to compromise on either form or function. Offering a highly personal service: When contacting Guy Mitchell Design, you will always speak directly to owners, Guy and Imogen, to ensure that your requirements are met to the highest standard. We are responsive to our clients 7 days a week. We believe in spending time with every customer so that they are well looked after throughout the buying process. How to Order Samples: Please contact us at info@guymitchelldesign.com with your size requirements and we will provide you with a price for your samples. An E-brochure and separate list of prices is available on request. Commissions: Please contact us at: info@guymitchelldesign.com and we will look forward to discussing your brief with you in depth. Worktop installers and tilers in Yarm, North Yorkshire can advise on the best tiles and materials to use based on your tastes and requirements and then will be able to install them to a high finish in your home. Kitchen worktops are a major part of your kitchen – you need surfaces that will be scratch and heat resistant, but at the same time still look attractive and work in harmony with your kitchen units, splashback and other kitchen elements. A worktop manufacturer and installer will be able to fit new kitchen worktops or replace old ones with ease, helping you to pick out the best kitchen worktops for your home first. Tiles are so versatile that they can be used in kitchen splashbacks, floors, bathroom walls and as decorative designs elsewhere in the house. Tile manufacturers and tilers in Yarm, North Yorkshire will have a great range of tile designs, sizes and materials to choose from and will help you to pick the best tile for the job. Laying tiles may look easy sometimes, but one badly laid tile can ruin a whole floor or wall, so it’s really best to leave it to a skilled tiler. With Houzz you can find Yarm, North Yorkshire tilers, tile manufacturers and worktop installers near you and check their previous projects, reviews and ratings to decide if they’re a good fit for your home design project. Why should I hire worktop installers or tilers in Yarm, North Yorkshire? Perfectly laid tiles and worktops can look simple and seamless once finished, but installing them is far harder than it looks. It really pays off to hire a Yarm, North Yorkshire tiler or worktops professional as they will have the experience and expertise to finish the job efficiently, quickly and to a high quality. From metro bathroom tiles and porcelain tiling, to kitchen worktops, splashbacks and travertine floor tiles, there will be a tiler or worktop professional who can install the surface you need for your bathroom or kitchen design. There will even be tile and worktop repairers to help you if you need a quick fix-up to your surfaces. Tile manufacturers, worktop professionals, and often tilers in Yarm, North Yorkshire themselves, will also be able to advise you on the right materials to use if you’re not decided on one particular type. They can tell you the advantages of the different flooring, wall tiles and kitchen worktops so you can make the right decision for your home. If you’re after a bespoke tile pattern, mosaic or mural created and laid in your house, this will also be possible with Houzz as we list such a wide range of tile manufacturers, worktop professionals and tilers in Yarm, North Yorkshire. It could be the case that you can find a design or construction company that can offer tiling and worktops as part of their work, whilst also undertaking other projects for your house redesign, so it’s worth looking out for these professionals, too. Here are some related professionals and vendors to complement the work of tiles, stone & worktops: Interior Designers, Architects & Building Designers, Main Contractors, Kitchen & Bathroom Designers, Design & Build. Find a tiler or worktops professional on Houzz. 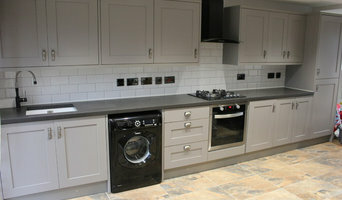 Narrow your search in the Professionals section of the website to Yarm, North Yorkshire tilers and worktop installers. 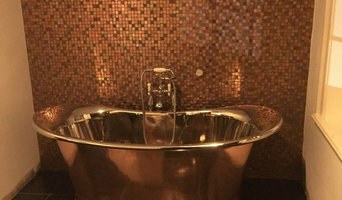 You can also look through Yarm, North Yorkshire photos to find projects you like, then contact the contractors or tilers in Yarm, North Yorkshire who worked on the tiling work or kitchen worktops.